Quite a bit has been posted on this blog about Lyman Resolved Roberts, inventor of the Blick Ninety, which became the Roberts Ninety after Roberts’ death. But most of this has been in relation to the Blick Ninety. 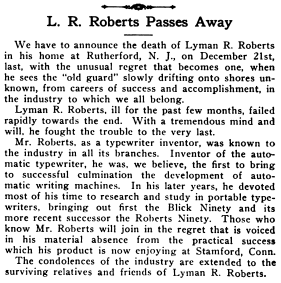 I was surprised, therefore, while browsing through the January 1922 issue of Typewriter Topics, to find that in a short death notice, the journal concentrated mainly on Roberts’ Automatic. 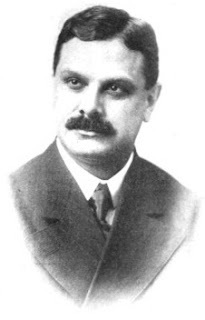 Admittedly, the same issue devoted much space to Chauncey Loomis Allen’s takeover of the “old” Blickensderfer company and his launch of the Roberts Ninety after Roberts’ sudden death at his home in Rutherford, New Jersey, on December 21, 1921. 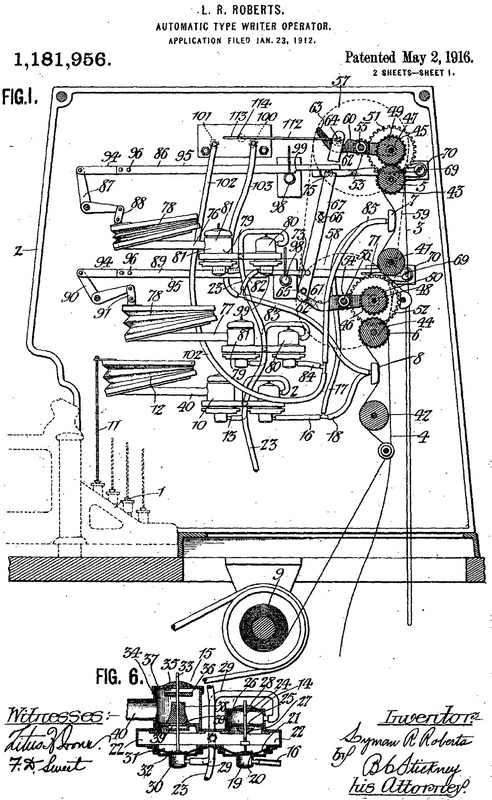 I hadn’t previously given much thought to Roberts’ Automatic Operator, for which Roberts was first issued with a patent on this day (December 13) in 1910. An improved design (below) was patented in 1916. My understanding is that at the time the second patent was issued, Roberts was working with Underwood on this project, sometimes in collaboration with Charles Leonard Davis. 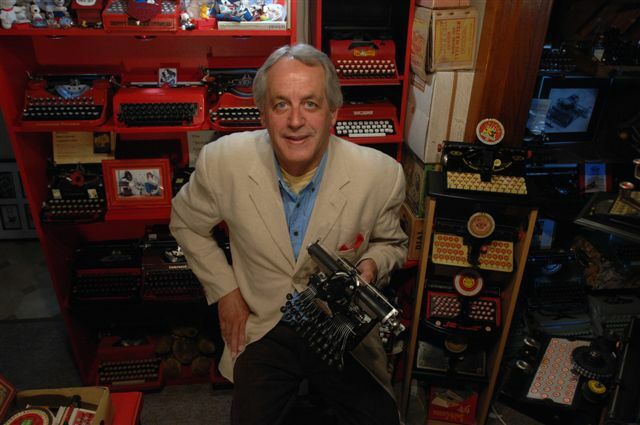 Wow, that pneumatic robotypist looks complicated.